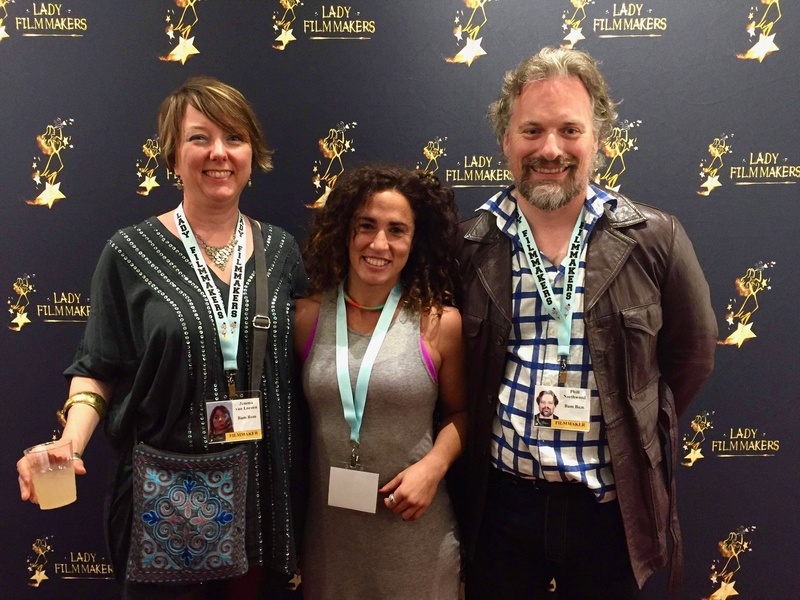 In late September we travelled to Los Angeles, USA to attend the 10th Lady Filmmakers Film Festival. It was our privilege to play alongside a great line up of powerful, inspiring and great films all by female filmmakers. Bam Bam also had the honour of receiving the award for Best Feature Documentary. We are extremely proud to have received this award and for the recognition that it affords. Pictured below is our Director, Jemma van Loenen (left), our star Bianca Elmir (centre) and our Producer, Phill Northwood (right).